In the report, the scholars laid out a "roadmap" for denuclearization, recommending what they call a "halt, roll back and eliminate" approach. Their advice – which includes informative color charts and detailed, qualitative analysis – emerged from a longer-term project about the nuclear history of North Korea between 1992 and 2017. According to the research, the most important steps toward denuclearization include halting nuclear tests, stopping intermediate or long-range missile tests, stopping the production of plutonium and highly enriched uranium, and banning all export of nuclear weapons, materials or technologies to North Korea. "The roadmap lays out a reasonable timeline for denuclearization, but politics may delay final denuclearization as much as 15 years," said Hecker, who worked at the Los Alamos National Laboratory for almost two decades, where he served as its directors for 11 of those years. He joined CISAC as a senior fellow in 2005. In the short term, North Korea and the United States should take steps to build trust and interdependence, which the researchers believe are pivotal for a viable long-term solution like complete demilitarization of North Korea's nuclear program. North Korea, they argue, will likely want to retain some parts of its nuclear program as a hedge should any potential agreement fall apart. This is a manageable risk, they said. The scholars also encourage Pyongyang to front-load its concrete plan towards permanent nuclear dismantlement to make a phased approach more appealing to the US administration. This would include actions like halting nuclear and missile tests for intercontinental ballistic missiles. According to Hecker, North Korea's recent demolition of its nuclear test site is a significant step in that direction. "The so-called 'Libya model' – complete and immediate denuclearization – is not a viable solution," Hecker said. "Our approach leaves each party with a manageable level of risk. Even though it takes longer, it is safer for the world." 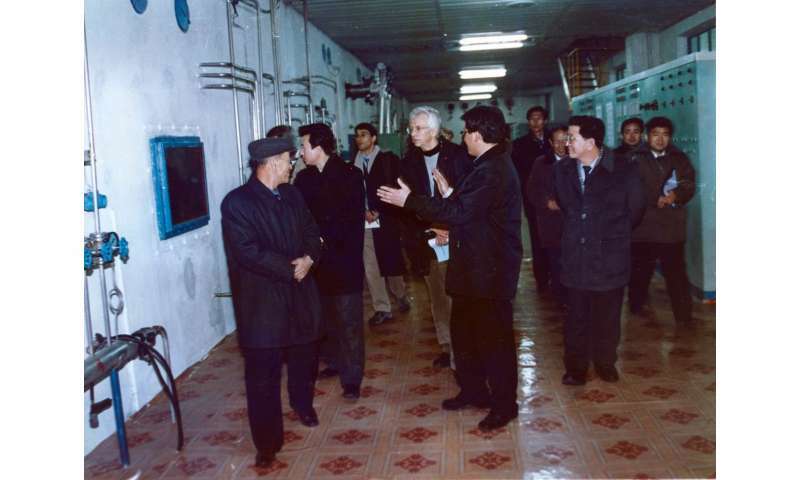 Hecker also encouraged the US to recognize North Korea's desire for civilian programs, including energy production, the use of radioactive substances in medical research, diagnosis and treatment, and a peaceful space program. These types of civilian programs can also foster opportunities for a collaborative relationship between the United States and North Korea. Further, increased cooperation –including with South Korea – can help make efforts for verification and monitoring with the International Atomic Energy Agency (IAEA) more reliable. The verification process that will confirm to what extent North Korea dismantles and destroys its military nuclear program is a big issue for negotiations, the scholars said. Critically, the researchers note that recent détente between North Korea and South Korea provides a window of opportunity to accomplish denuclearization – and that the US should take advantage of that window smartly. They said they hope that the risk-management approach outlined in the report can maximize chances for a successful agreement. "In the past, the US has missed opportunities to manage incremental risk," Hecker said. "Now is the time to pay attention to that history and be prepared to implement a risk-management approach to denuclearization."